Again Dean Hughes and Rik MacLean from the earlier reviewed here band Kalte decided to bring some happiness with their new album “Fissures”, released on Petcord label. And again Kalte draws our attention to scientific spheres; “Chemiosmosis”, “Polyphyletic”, “Harbig-Haro Object”, “Hadopelagic”, “Asthenosphere” – all these geologic and biologic terms are the conceptual units of the album, which seeks for our proximity to natural phenomena, that we don’t keep in mind, as they are so continuous or unapparent. Now, let’s proceed to the music itself. The tracks are distinguished by their monumentalness and majesty: low-tone drones, gradually exfoliating into different layers of sounds; seeming permanence, which vanishes, if we look at it “from the bird’s eye view”, for the music is rather vivid and versatile. The album has various textures – from solid to coarse- and fine-grained, with distinct skeletons and components, as if it is the product of scientific research and experiments, or a the fact of a scientific discovery. The impression of depth, darkness and coldness is created here. 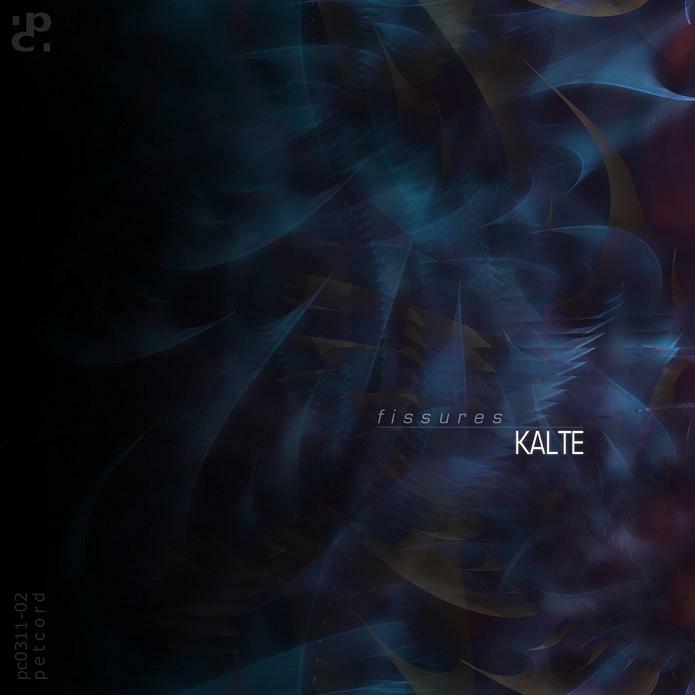 So, enter Kalte’s laboratory with their deep, Hadopelagic sound of “Fissures”. Kalte is a duet of Deane Hughes and Rik MacLean, musicians from Toronto, Canada; the place, where they live and create, is totally connected with such notions and phenomena, as “frost”, “winter”, “ice” and “cold”, and probably these climate peculiarities influenced their musical activity, even the name of the project – “Kalte” is derived from the German word for “frost”, or “coldness”. One of their album, which I want to review, is called “Glaciations”. The starting point is “Obliquity” – a ringing drone, a modified sound of presumably metal or glass nature; obliquity means a deviation from a norm, and in the context of this album, it may be the temperature deviation, which, perhaps, leads to glaciation, as a result of the climate change. This track is distinguished by its increasing loudness and power, it has a subsequent structure; at first, comes the quiet part, then – anxious part, and the last – the final phase, where an impression of completeness and inevitability is evident. The mechanism of glaciation is launched. Everything is plunged in frost and darkness. “Svalbard” is a piece, that describes through the sound the atmosphere of an archipelago in the Arctic, a very picturesque part of Norway. You hear some something like howlings, and the rythmic picture of the track resembles the sea breakers – unhurried, but full of natural force. Frankly speaking, after listening to this composition and having paid attention to the mentioned group of islands, I wished to visit this place. “Heezen-Tharp” is an ambient piece, which may be associated with two American geologists – Bruce Charles Heezen and Marie Tharp, who collaborated in mapping the ocean floor. Heezen is also a name for an Antarctic glacier, situated on the Antarctic Peninsula. 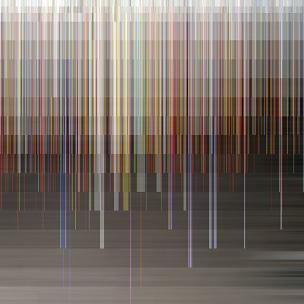 “Heezen-Tharp” is full of different tinklings, clanks and sullen drones. “Luminosity Function” is a track, where you can observe a transition from low quality drone with crackles and semblance of interference to capturing organ drone. And the last item is “Chemotrophs”. In fact, chemotrophs are peculiar organisms, that get energy from redox reactions. The enchanting sounding is also of low bitrate, and fine-grained texture, as if consisting of protozoa, which move to and fro in the oceanic bouillon. As you can see, every track has its history and sense background, and listening to the whole album reminds me of solving a riddle with making juxtapositions, uniting various elements into one conceptual system. For me, this investigation was a true pleasure. 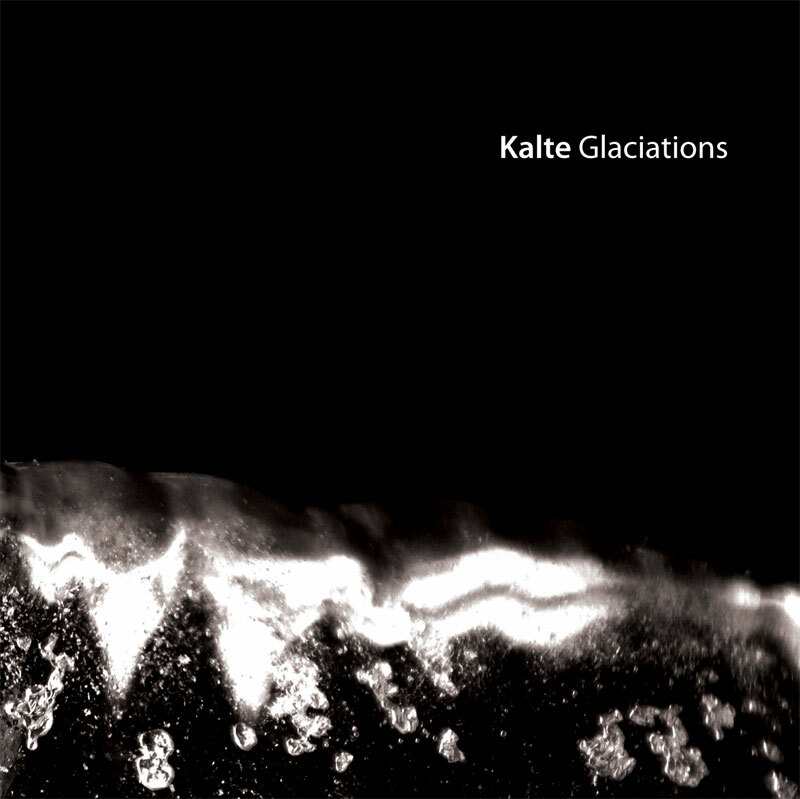 So, put on warm clothes and enter the icy world of Kalte’s “Glaciations”.